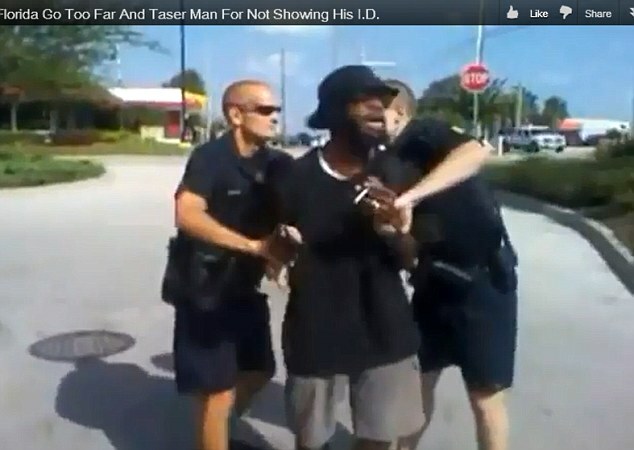 Florida police allegedly tasered a man three times after he was caught jaywalking. Zikomo Peurifoy was initially stopped by officers in Casselberry, Florida, for allegedly ignoring crosswalk signals. However, the encounter quickly spiralled out of control after Peurifoy refused to give officers his name and eventually resulted with the cops repeatedly tasering him. 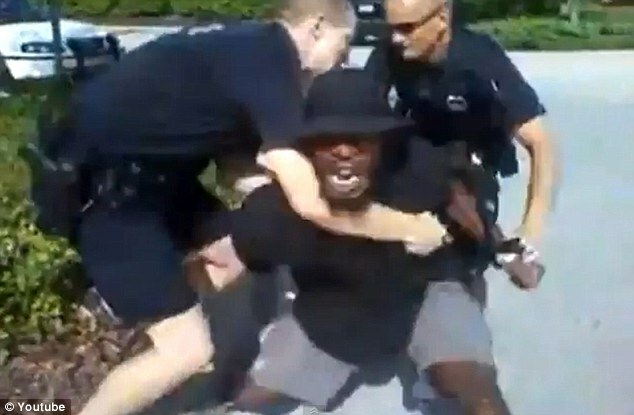 Warning: The officers threaten Peurifoy that they will taser him if he refuses to let them handcuff him…. After he was cuffed, officers found a gun on Peurifoy although they later found he had a permit to carry the weapon. The entire struggle was filmed by Peurifoy’s friend, Noelle Price, and has been uploaded onto Peurifoy’s YouTube account. Price was found to be illegally carrying a firearm, as well as brass knuckles, pepper spray and a knife, police said. The 10-minute YouTube video shows Peurifoy repeatedly deny two police officers’ requests for his ID. ‘It’s not a lawful command,’ Peurifoy says again and again. As Price is heard screaming at the officers to get their supervisor, an officer warns Peurifoy that they will taser him if he doesn’t submit to handcuffs. As an officer points a taser gun at him, Price threatens the cops that she is recording the whole thing. The footage then appears to show the officers tasering Peurifoy once and a further two times as he tries to escape. The third zapping brings Peurifoy collapsing to the ground and officers are able to cuff him. ‘You just committed a crime. You assaulted me with a taser,’ Peurifoy tells the officers. As well as landing a ticket for jaywalking, Peurifoy was charged with resisting arrest and battery on a law enforcement officer. Noelle Price was also arrested and charged with carrying a concealed weapon and resisting arrest without violence for refusing to disclose her full name to police, reported ABC. 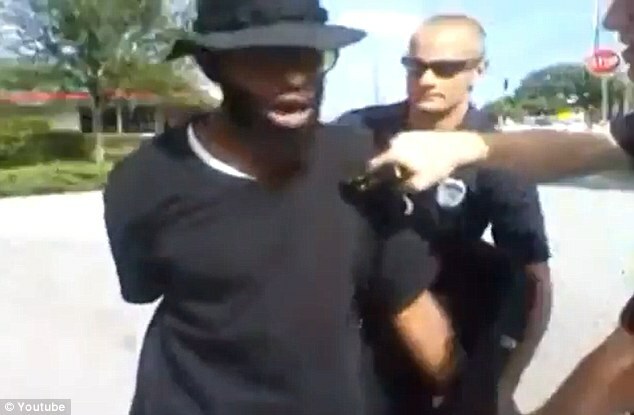 Casselberry Police have dismissed accusations of excessive force while Captain David Del Rosso told ABC that the video may be shown to other officers as an example of how to deal with uncooperative suspects.